How to build a pretty wooden planter quick and cheap! 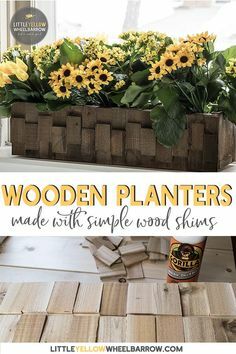 - Cats and Canines Coffee Co.
How to build a pretty wooden planter quick and cheap! How to build a pretty wooden planter quick and cheap! An easy DIY wood project anyone can make. Made from scrap wood and a small bundle of wooden shims the project couldn't be less expensive!